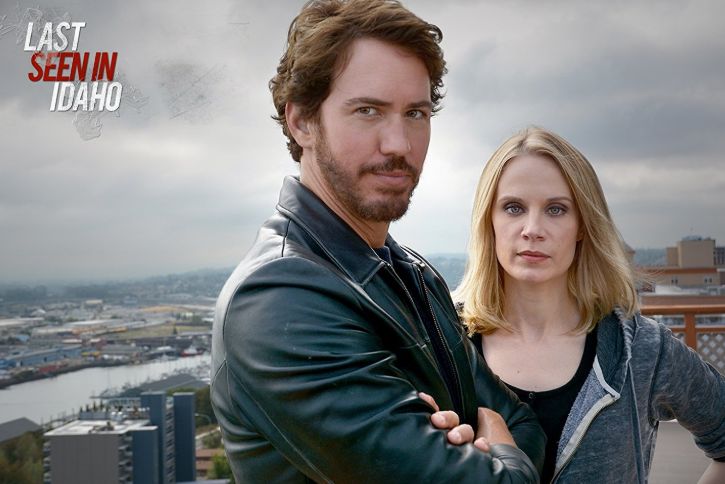 Last Seen in Idaho starring General Hospital’s Wes Ramsey (Peter August) premieres Saturday, December 1 on Showtime. Ramsey currently spends his days on the set of ABC’s General Hospital playing Peter August (born Henrik Faison) the son of WSB agent Anna Devane (Finola Hughes) and DVX psychopath Cesar Faison (Anders Hove). But in Last Seen in Idaho, he plays Franco (which is also the name of a General Hospital character). The official synopsis of the film: A woman awakens from a coma and begins experiencing shocking visions of her own future kidnapping and murder. It’s a race against the clock as she tries to figure out who she can trust and who is trying to kill her. The film stars Ramsey (Franco), Hallie Shepherd (Summer), Casper Van Dien (Brock) and Shawn Christian (Lance). Last Seen in Idaho was released on DVD on April 24. But for General Hospital and Wes Ramsey fans who haven’t seen it yet, you’ll want to tune into Showtime Saturday, December 1 to check out this psychological thriller.